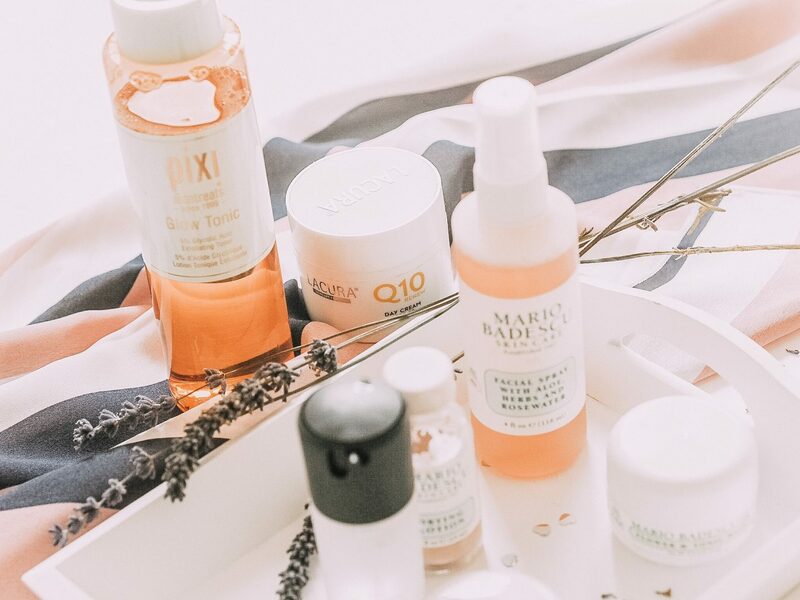 There are a selection of Mario Badescu products in my summer skin care faves list, and if I’m honest these are great for all year round because I’ve found each of them to be fair light and gentle on your skin. 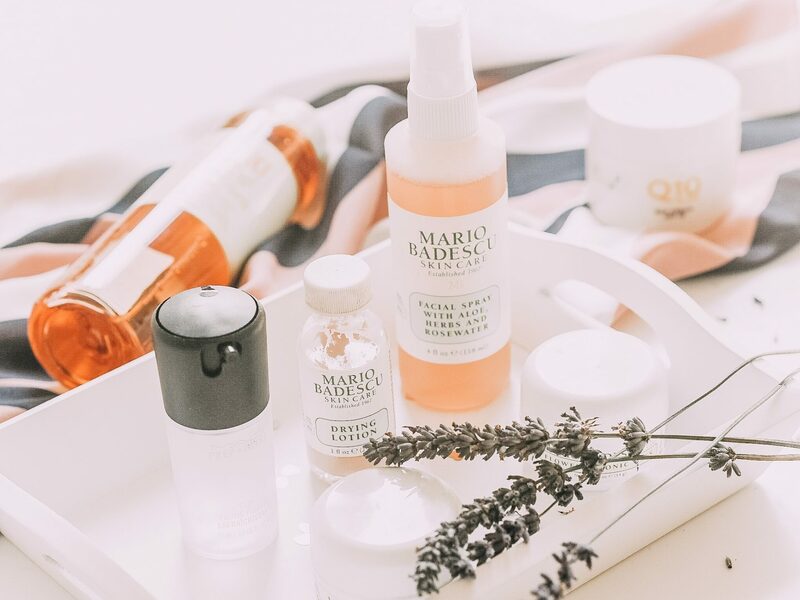 For a full review on all the products I’ve tried you can read my Mario Badescu skin care review post however, I have been loving these products especially over the summer.. This stuff really is the nuts. I came back from holiday in Cyprus and I think because of the heat and the suncream situation, my pores were all clogged up and quite frankly horrible, so I couldn’t wait to come home to this. I’ll admit, although you may looks like Mr blobby (one big pink blob), it’s totally worth it. I just use a cotton bud to dip into the solution and dab it over any spots and the next day you can tell they have dried out massively – it’s a life saviour! So you know when you need to spray your face because you’re so hot and sticky you don’t care what you look like. This is where I’ve been loving using this. I use this quite a lot when I don’t wear any make up at all – tends to be a Sunday, and I just spray this on my face to keep it hydrated and it also smells nice! I will also use this sometimes as a make up setter (using before and after applying make up). I think a lot of people have heard of this product, and I have mentioned it before in another post, but I do really like this. You really don’t need a lot so a little goes a long way. So after I’ve used a cleanser to cleanse and remove make up, I will use a cotton pad soaked with the tonic to swipe over my face to exfoliate and remove nasty dirt and dead skin. I find in the summer because of all the sweat and dirt that gets into your pores this is definitely something you should add to your skincare routine! Can we just take a second to praise Aldi with their genuis dupes/ skin care range! I’d heard really good things about their Elizabeth Arden 8 hour cream dupe, so I actually started browsing to find that, but unfortunately, I couldn’t find it but as I needed a new moisturiser, I picked up this day cream – and my gosh is it good! Guys, this was £1.45!!!!! What on earth. I’d actually go so far in saying that this is up there with one of the best face moisturiser’s I have tried! It’s anti wrinkle with spf 20, so basically GREAT for your skin! Also, not too heavy either, so great for summer. Need to try this Mario Badescu facial spray!